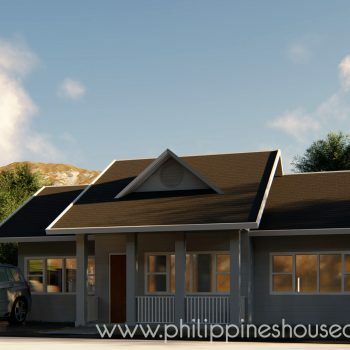 Simple house design provides a practical design for your home. 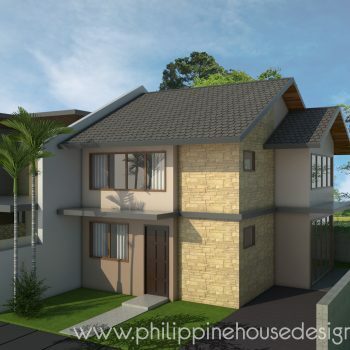 The modernity of the design helps minimize construction cost due to less intricate details. Climate-responsive principles can be applied to this design. ‘Simple architecture’ is one of the many terms used to describe different types of minimalist architecture and design. Structures that follow these types of architectural design have become more and more commonplace since around the rise of the modernist movement of the first part of the 20th century. However, it would be a mistake to think that minimalist and modern architecture are one and the same. 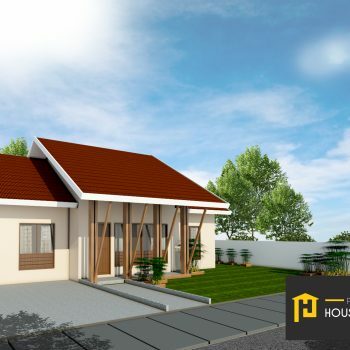 While the modernist design movement has been instrumental in leading to a much wider acceptance of minimalist and simple architecture, simple architecture has existed in one form or another since the beginning of man’s efforts to build structures to live in. 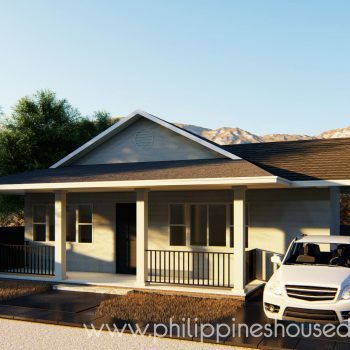 Simple tents, lean-to, and even more complex simple wooden houses, including our indigenous Bahay kubo can arguably fall under the category of “simple architecture”. While there are different philosophies behind simple or minimalist houses today, all of them focus on constructing houses in a way to efficiently solve underlying problems above all else, including superfluous decoration. Despite the name, however, “simple” architecture is anything but. A focus on solving real issues with as few materials or physical effort as possible inevitably involves more planning and self-examination. Architects and soon-to-be homeowners will have to constantly ask themselves “do I really need this?” and “how do I simplify this further without giving up function?” at each stage of the design process. Simple architecture as we know it today evolved from the modern design movement, and it really started getting some traction with the rise of the De Stijl art movement from the Netherlands, German architects like Van Der Rohe, and later on, the influences of traditional Japanese and Scandinavian design. The De Stijl art movement was a huge influence on minimalist design in general, favoring the clean vertical and horizontal lines, and bold color blocks from a limited palette. While you can’t necessarily call De Stijl itself to be an architecture movement or style, its influence is readily apparent even in minimalist structures and designs today. If for nothing else, German Ludwig Mies van der Rohe may be considered a pioneer of modern architecture, simply for popularizing the idea that “less is more”. Of course, this product of the Internationalist movement in modern architecture did much more than that. Van Der Rohe pioneered the use of modern grades of steel rather than cast iron, minimalist structural framework, open space, and glass plates to create buildings that still look fresh today. Chicago’s Crown Hall and New York’s Seagram Building, both designed by Van der Rohe, still look still look incredibly current despite both being inaugurated in the 1950’s. Japanese and Scandinavian traditional architecture have also heavily influenced the simple architecture and minimalist houses we see today. Both countries in their history have suffered harsh climates and a lack of raw materials, forcing builders to pay more attention to how their scarce materials are used. The Japanese also culturally have a national character that showcases the character of the materials they use, an approach that tends to favor the clean lines, sparse decoration, and simple colors that characterize minimalism today. The Scandinavian countries, likewise, have long been utilitarian in outlook due to a long history of scarcity and relative isolation that favored durable, efficient construction and left little time or opportunity for excessive decoration. While nearly every culture that has experienced scarcity has its own takes on minimalist and simple architecture, Japan and the Scandinavian countries were highly influential due in part to Japan’s exotic mystique among the designers and architects in the Modern architecture movement and the Scandinavian countries’ close proximity to Western Europe. German Designer Dieter Rams is an influential designer, chiefly known today for his massive influence on the design of highly-desired consumer products from Apple that chiefly have a minimalist style. His decades of work at Braun have resulted in a number of design classics such as radios, lighters, audio appliances that are still much desired today. While Dieter Rams is not an architect, but his ideas on what constitutes good design continue to be influential today in many fields, including architecture and interior design. In the 1970s, he laid down his answer to the question of “what is good design?” using the following criteria. 1.) Is innovative – Does your house use new materials technology to make your life easier? Does it use current knowledge in architecture and engineering to make a better, more livable space? 2.) Makes a product useful – Do all the spaces and features in your home serve a specific function or sets of functions? Will they be unoccupied most of the time? Does it make sense to pare down your space? 3.) Is aesthetic – Is your house actually beautiful to look at? Does any part of it bother you or strike you in a negative way? 4.) Makes a product understandable – Does your house look like it’s a house meant to be lived in, or does it perhaps look a little too much like a museum or an office space? 5.) Is unobtrusive – Does the house’s architecture allow you to let your own personality shine when you add furniture and interior décor to it, or is the architect’s hand a bit too obvious regardless? 6.) Is honest – Does your house have fake design elements intended to make it look more fancy? If yes, should they be there? Is there a better way? 7.) Is long-lasting – Will your house still be a point of pride for you decades into the future? Will you have to do excessive maintenance to it due to some design flaw? 8.) Is thorough down to the last detail – Did you check to see if the design features of the house are suited for the needs of all the inhabitants – including the household help, if any? Is it even in the right location for the lifestyle you want? 9.) 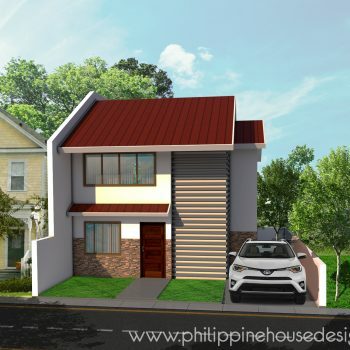 Is environmentally-friendly – Did the construction of your house put undue strain on the environment? 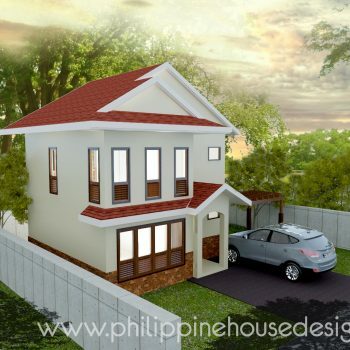 Does the house incorporate technologies to reduce energy consumption? 10.) Is as little design as possible – Are there superfluous details in your house design that you can remove without compromising the functionality or beauty? Thanks to the similar goals of different simple architecture ideologies, there’s often an undeniable similarity when it comes to the look of minimalist spaces. However, there still exists a few general styles that have their own character. While not all Modern architecture can be defined as “simple” or “minimalist”, it’s safe to say Modern architecture is highly influential in simple architecture today. 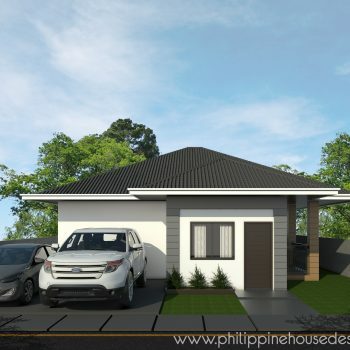 Most new houses in the Philippines that employ principles of simple architecture are heavily influenced by elements popularized by Modern architecture from the 1920’s-1970’s. The most prominent giveaways of ‘Modern Minimalist’ structures is the use of stark white in most surfaces, as well as the use of cold lighting. An emphasis on having open spaces is present, and furniture is kept down to a few key elements that reflect more on the owner’s personality and tastes. Glass and plain steel are also common materials in these buildings as is poured concrete and prefabricated elements. As with other minimalist styles, clean uninterrupted lines are quite prominent in Modern Minimalist houses, and spaces tend to be easily convertible to different uses. Open spaces may exist for their own sake and not meant to be necessarily filled-up. When employed correctly, minimalism can be used to create an inviting, warm environment for a home. The lack of clutter makes ideal for a homeowner that desires a stress-free environment. While not all Scandinavian design is simple or minimalist, nonetheless, Scandinavian today characterized by simplicity and functionality. The Scandinavian countries — Denmark, Finland, Iceland, Norway, and Sweden – were especially affected by the modernist movement of the 1920’s-1950’s, and the region experienced a renaissance in this period that continues to be influential today. These days, Scandinavian design is better known for consumer goods, but it’s also a widely used aesthetic for the design of homes as well. Scandinavian minimalism is characterized by the use of wood together with modern materials such as poured concrete, glass, and plastic in a harmonious way. Spaces are accented with traditionally-crafted objects such as wicker baskets and patterned rugs as well as modern appliances that fit the mood of the room. Warmer lighting is also favored, in contrast to the relatively cold lighting in most Modern Minimalist spaces. The principles of modern design meshed well with traditionally sparse and clean Scandinavian homes, and architects and designers in these countries were almost unique in having ancient design traditions that easily melded with what were cutting-edge techniques and trends introduced in the early 20th century. In the Philippines, the aesthetic of Scandinavian design is sometimes evoked in the use of plain wood or simulated wood floorings in minimalist spaces. Japanese culture is famously minimalistic – though you may not necessarily see it these days in the cluttered urban sprawl of modern Japanese cities. While Japan did suffer material scarcity like the Scandinavian countries, the main driver of their traditions in minimalist design comes down to Zen philosophy. Zen’s ideas on simplicity are at their essence about learning important truths about life. Like in other types of Buddhism, attachment is seen often as a negative idea that makes it hard to achieve the truth, hence the idea of removing as many unneeded objects from your life as possible. In Japanese-style simple architecture, the idea of “Ma” or open space is highly important, even in cases where there may not be a lot of floor space to use. As few internal walls as possible are used and spaces tend to be multiuse or easily separated by temporary or sliding walls as needed. The idea of removing walls is to reduce the home down to its most essential functions. Another concept central to Japanese design is “Wabi-sabi”, which is the valuing of simple objects. In practice, Wabi-sabi values the lack of extraneous features or decoration and letting the materials “speak for themselves. In the context of a house, this means not disguising the materials with paint or opaque finishes unless needed for a specific function. The idea of being able to adapt a space for different purposes quickly and easily means Japanese minimalism is in wide use for small spaces. 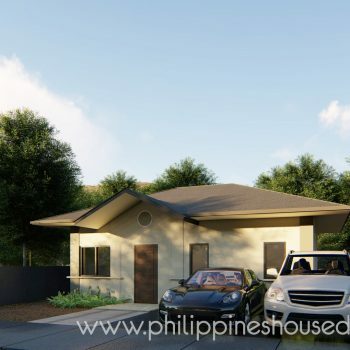 In the Philippines, Japanese-style minimalism is influential when it comes to the designs of condominium units as well as homes that need to be in tight spaces. If decorations in a home are not functional, they are usually rejected in houses that use simple-architecture elements. Clean lines and bold geometric shapes tend to be the rule in homes employing simple architecture. This maximizes useable and open space while reducing visual clutter. Plain materials are often favored for minimalist houses. Materials instead, can be chosen for their own inherent beauty as well as their functionality for a space. There are often some repeating elements in a minimalist home. This can be through tiles, floorboards, windows, steps, built-in cabinets, light fixtures, or other strategically placed elements. Open spaces in minimalist homes are rarely meant to be filled up. Instead, they’re there to help the home come together in pleasing ways, producing a relaxing effect for the inhabitants. Well-designed homes employing simple architecture will use focal points to avoid the space looking too cold and uninviting. These can be objects of interest to the owner as well as high-quality vintage pieces or items made from natural materials in small quantities. Simple architecture is simple in name only, employing a lot of solution-based thinking and planning to achieve its best results. 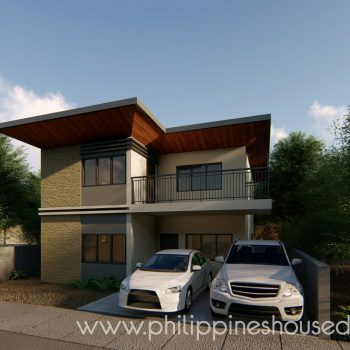 It offers a lot of benefits for homeowners, especially in the Philippine setting where clutter and urban sprawl have come to characterize living experiences for many. When done right, a minimalist house will continue to look fresh and full of possibilities even as its passed on to different generations.